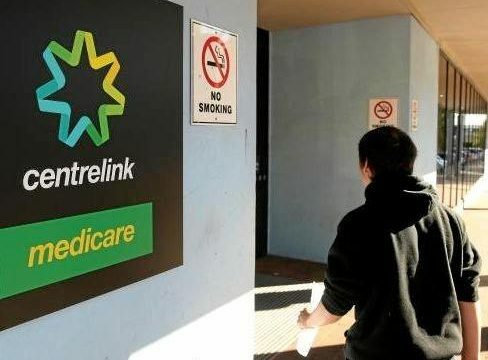 Jeremy Poxon of the Australian Unemployed Workers' Union (AUWU) talks about the harsh realities that welfare recipients face, and why those in power do not seem to care. Despite his vow to never enter politics, Julian Burnside will run against Josh Frydengerg, a move emboldened by the LNP’s “irreconcilable” policy. Daniel Paci believes that the Banking Royal Commission recommendations are targeting the wrong people. Mortgage brokers will suffer, while the banks will remain unscathed. Journalist Rachael Kohn, Australia’s foremost mind on religion is set to retire. But before she goes, we quizzed her on the modern meaning of religion, the lessons of the past, and the reanimation of anti-semitism. Practifi CCO and co-founder Adrian Johnstone sat down with the recalls the Entrepreneur Podcast Network to discuss his company’s birth, and what they hope to achieve next. We sat down with Bill Tsouvalas, founder and managing director of Savvy Finance, to talk about success in a tough financial marketplace. The Big Smoke sat down with Mellissa Larkin, founder and CEO of Peripheral Blue, an Australian legal and consulting firm with a fresh approach. While Nicholas Wolpe counted Nelson Mandela as a close friend, but it is South Africa’s racial division that speaks again today. He is touching down in Melbourne and Sydney to articulate his viewpoint. Humanitix is a force for true change, looking to use technology to bridge the gap between rich and poor. We sat down with founders Adam and Josh to discuss their vision. Despite what we might assume, Australian enterprises are serious targets for cyber attacks. We spoke to Andrew Bycroft of the International Cyber Resilience Institute to address the realities of the situation and how to combat it. We met with Susan Jackson, founder of the Women’s Financial Network about her career and her latest venture, running a chateau in the French countryside. In life, we discover that we’re only as good as the tutoring we receive. Simon Fox is changing the essentials of fitness, making sure the next generation of physical trainers will be the best they can be. We spoke with the CEO of Peter Strohkorb Consulting, a pioneering force that changes the marketing space, engineering your plan to cater for the unique challenges and customer base your business possesses.